Cocktail bars tend to trade on a certain air of sophistication, which can sometimes come across as a little serious. Sometimes, however, it can be fun to get a little creative with a bar name – nobody forgets the bar that makes them laugh when they walk through the door! 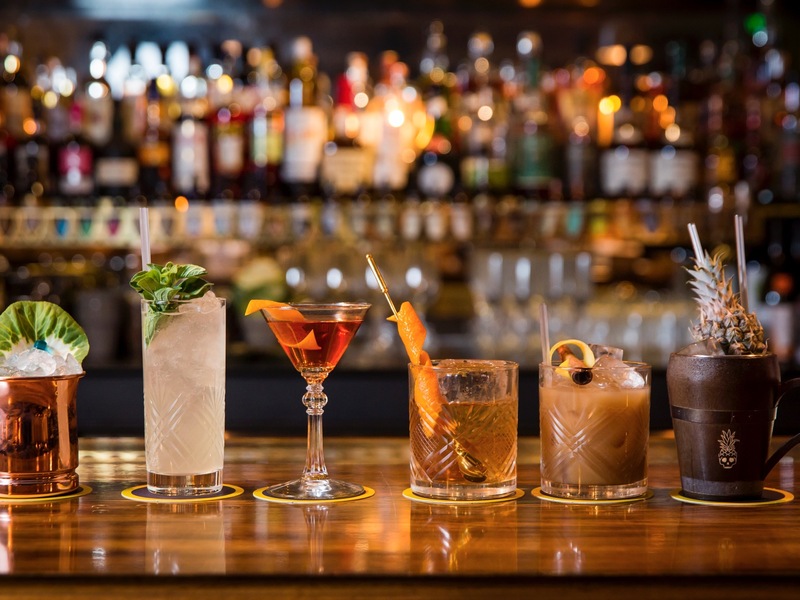 We’ve hunted down our favourite bar names, so that if you are ever in the area, you can grab a cocktail with a smile! A welcoming, classy bar in the depths of Airdrie, Scotland, this establishment sells food and fun cocktails such as the Woo Woo and the Cosmopolitan. The name is a nod to the previous tenants of the building, a licensed pub known as The Black Bull Inn that left a large bulls head sculpture hanging over the front door. Craft beers, posh food and delicious cocktails are the order of each day at The Grizzled Wizard in Seattle. Serving in magical surroundings with a wizardly welcome, this quirky bar is a great place for an evening drink. Old favourites such as the Moscow Mule are joined on the cocktail menu with new mixes such as the Espolon Paloma at this fun Irish bar in Denver. Traditional pub games such as darts and shuffleboard add an air of sporting mischief while patrons sip on their beverages and enjoy the many happy hours! If ever there was a bar name that sums up the effects of too many cocktails, then Tipsy McStaggers has phrased it perfectly. Based in Michigan, this lively establishment serves up some unique concoctions including Tipsy’s Baja Blast, Tipsy’s Daly Buzz and Tipsy’s Famous Trash Can. A cheery bar name might not be proof of a great interior, but it does give a touch of humour to your evening before its even begun! Be sure to let us know if you think there is a bar near you with a funnier name!